New visitor center brings cohesion to a diffuse national park. If you've been to the City of Richmond's Rosie the Riveter memorial, a tribute to the roughly eighteen million women (or "Rosies") who worked in US defense industries and other services during World War II, then you'll recall the site's focal point: a large, stainless steel sculpture that resembles a ship's hull and gives way to a pathway of engraved granite plaques describing notable wartime events. But 88-year-old Catherine L. Morrison can still see beyond the memorial to the vivid history it represents. The bayside monument rests at the former site of Kaiser Shipyard No. 2, one of four WWII-era Richmond shipyards that produced 747 ships — a number unmatched by any shipyard complex in the country. 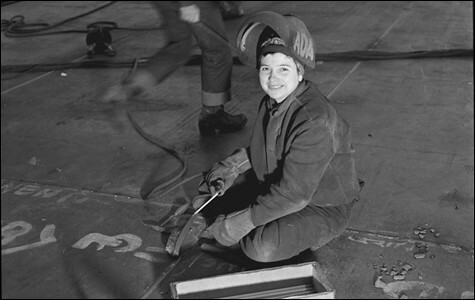 Morrison was just twenty when, in 1943, she and her husband moved from Chico to work in the shipyard, he as a carpenter and she as a journeyman welder. The couple commuted by ferry from San Francisco each evening to work graveyard shifts on the same assembly line. For Morrison, who'd previously worked at an ice cream parlor and a JC Penney store, the career change was both exciting and empowering. She still marvels at how, almost overnight, she and unprecedented numbers of women were working alongside men in industries that once excluded them. "It gave us a confidence that we didn't have before," she explained. "Before that, we knew how to wash dishes and change sheets and raise babies. The war changed everything." The memorial to the former shipyard is just one of a slew of historical properties throughout Richmond that saw industrial activity during the war years. There's also the Ford Assembly Building, which produced military vehicles and now houses the Craneway Pavilion; and the SS Red Oak Victory cargo ship, now a museum. 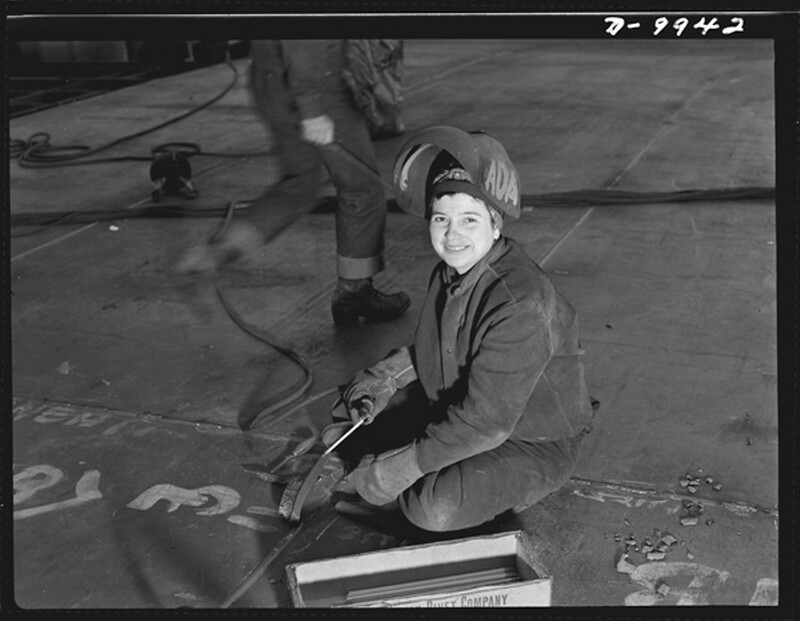 And while various public and private entities own the remnants of the city's war effort, each site is a part of the Rosie the Riveter/WWII Home Front National Historic Park, an administrative partnership formed in 2000 between the city and the National Park Service. Because of the landmarks' scattered locations, visiting the park has been a somewhat arbitrary affair. "One of the most common questions we've gotten over the years is, 'Where is the park?'" said park superintendent Tom Leatherman. "Normally when you think of a national park, you think of Yosemite, where there's an entrance gate, you see the sights, and then you leave. But with this park there are no real boundaries to speak of — even the number of sights is vague."